For Symphonic Band - Full Score and Parts. Composed by David Maslanka. Carl Fischer Classic Band Editions. Score and Set of Parts. With Standard notation. 660 pages. Duration 8 minutes, 30 seconds. Carl Fischer #J000738. Published by Carl Fischer (CF.J738). ISBN 825837545. Key: C major. 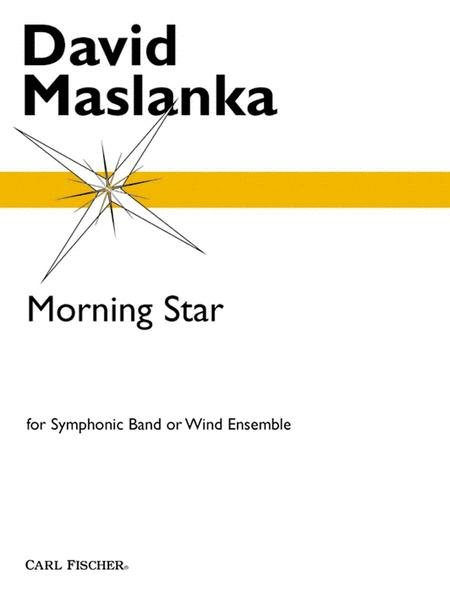 Morning Star was commissioned by the conductor of the Grand Ledge, Michigan High School Wind Symphony, Michael Kaufman, to celebrate the opening of the school's new concert hall. It was premiered by the students in May of 1997. Morning Star is a happy piece about beginnings: the dawning of a new day, the opening of a new hall, the beginning of adult life for the young people who premiered the piece, and for those who are playing it now.